Advertising is part of the American landscape—a symbol of its unique brand of entrepreneurship. From “Have a Coke and a Smile” to the old Burma-Shave road signs, these images and sounds have become a kind of background music to life in each generation. It’s this kind of ingenuity mixed with a touch of nostalgia that is central to the new American Enterprise Exhibit in The Smithsonian’s National Museum of American History. And Chick-fil-A’s iconic and spelling-challenged Cows, with their “Eat Mor Chikin” message, made the trek to Washington, D.C. to be a part of it. 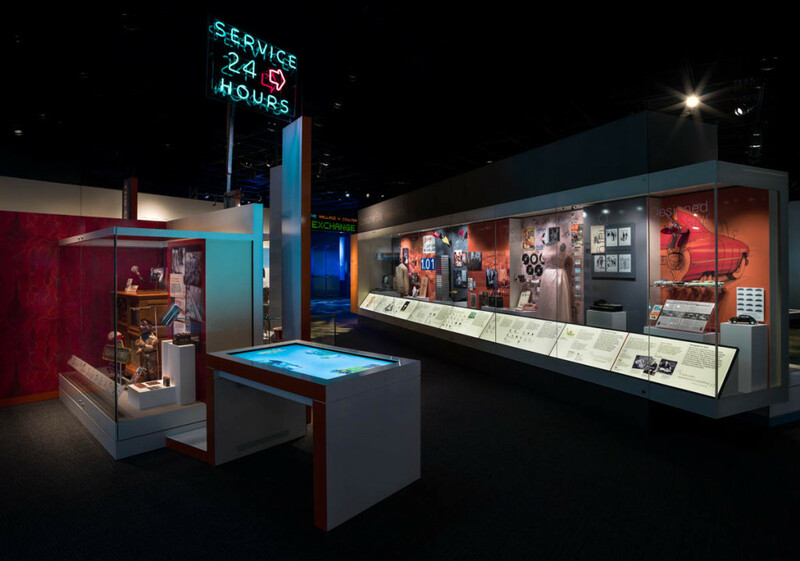 The 20-year exhibition, which opened this summer, is using objects, graphics and interactive experiences to tell the story of how the United States moved from a small, dependent nation to one of the world’s most vibrant and trend-setting economies. It highlights the critical role of business in forming the American experience. During the Corporate Era, American became an urban nation. Business got big. Chick-fil-A’s beloved and sassy Cows are part of a history of advertising display and are included in a looped video in the exhibit. The renegade cows commandeered their first billboard in 1995, and today their messages reach millions through a myriad of media avenues from television ads to signs on water towers. They even launched a Facebook page in 2009. 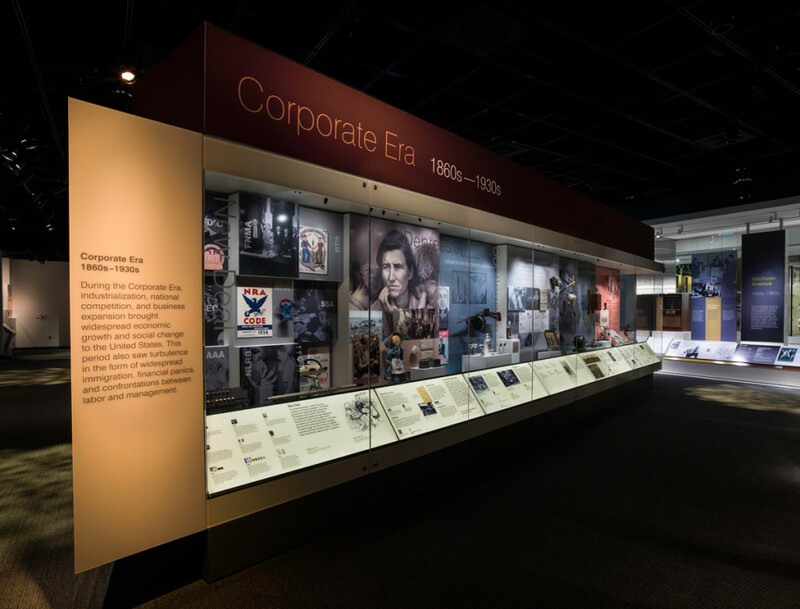 The American Enterprise exhibit on advertising has about 30 permanent posters featuring other iconic businesses, including others headquartered in Georgia, such as Coca-Cola, Delta and Aflac. Martha Lawrence, who recently visited the Smithsonian to see the display, says she wants it to inspire people to learn more. That’s serious business for Lawrence, who spent 17 years as an assistant to the late Truett Cathy and is the company’s archivist and general all-around legacy-keeper. At the moment, she’s working on another exhibit for the Atlanta History Center set to open in January. It will be called Atlanta in 50 Objects, and will also display iconic items that tell the story of the Capital of the South. Lawrence is mum on just what Chick-fil-A’s contribution will include, other than to say it will be three-dimensional and hopefully interactive. Chick-fil-A has had its own museum for about 20 years, located just inside the doors of the company’s Atlanta home office. The public can access it through the popular Home Office Backstage Tours. Now, Lawrence is helping to expand it. She is collecting items, both inside and outside the company, and working with designers and consultants to learn how to display and preserve the artifacts of the company’s past – everything from neckties, 1980s-era uniforms, and a closed-on-Sunday sign, to packaging from the first Chicken Sandwich and pictures of Truett’s office. Chick-fil-A ties are, by the way, apparently a hot item. The company began creating them for local franchise owners in the 1960s, and some go for big money on Etsy and eBay. Lawrence says some local owners immediately put their hand over their rare ties when they see her, in fear she’ll ask to take it for the museum. Lawrence is talking about Truett, of course. The fun-loving spirit of the Cows also is a part of that legacy, she says. Truett loved handing out the small plush cows wherever he went. Each summer, the company holds Cow Appreciation Day, giving out free food to customers who come in dressed like bovine friends. The Cows, all the items and symbols are reminders of history and of the core values that Lawrence feels she is responsible for caretaking, the ones she believes made Truett successful. Work and play pushes into hours traditionally reserved for sleep.